The thing people were most anticipating about Jay-Z’s new album, “4:44,” is how it responds to his wife Beyonce’s accusations of infidelity on her last record, “Lemonade.” Turns out, though, the lyrics causing the biggest kerfuffle on the new collection – issued Friday exclusively via Tidal and Sprint – are lines written in response to former and current handlers of the Prince estate. In the Nina Simone-sampling song “Caught their Eyes,” featuring a guest appearance by Frank Ocean, the real-life Shawn Carter calls out entertainment lawyer Londell McMillan by name, questions the remaking of Paisley Park into a museum and throws the words “you greedy bastards” at the estate handlers. His beef with the estate and its power brokers extends from an ongoing legal dispute over exclusive rights to a good chunk of Prince’s catalog, which Jay-Z claims was given to his streaming company Tidal by Prince himself before his death last year. However, McMillan and other representatives for Prince’s family worked out deals with Spotify, Apple and other streaming companies, thus giving Tidal the shaft. 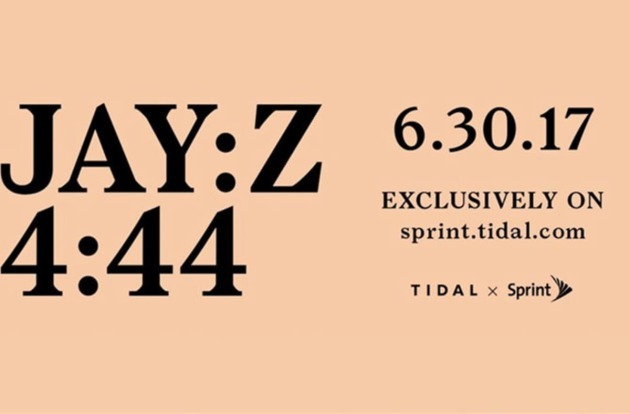 Jay-Z's "4:44" is currently only available through Tidal and Sprint.